standards, national policies/guidelines, is technically sound and that we apply evidenced-based approaches to improving children’s and women’s health. The Health and Nutrition Specialist will provide this technical support to staff and partners, including the Government of Tanzania. She/he will work with the Director of Program Development and Quality and other technical specialists (Education, Child Rights Governance, Child Protection) to position and grow the Health and Nutrition portfolio in line with Save the Children Tanzania’s strategic plan for 2019-21. The Health and Nutrition Specialist must be willing to embrace a child rights programming approach. She/he must bring strong technical leadership, interpersonal and communication skills as well as a proven track record of working on a range of Health and Nutrition issues in development settings. The post holder should also have a solid understanding of the Health and Nutrition sector and government structures (national and local level) in Tanzania and able to represent Save the Children in national forums and working groups. Save the Children has been operational in Tanzania since 1986 with an initial presence in Zanzibar and now extending to the Mainland with multi-sector programming. Save the Children Tanzania currently implements Health and Nutrition programming in Dodoma, Singida, Morogoro, Iringa, Rukwa and Zanzibar. The Health and Nutrition Specialist will play a lead role in: new business development, including the design of new proposals; ensuring staff and partners have the tools required to implement high quality Health and Nutrition programming; monitoring program implementation and provision of technical support to implementation teams and partners; and input to evaluation processes. The Health and Nutrition Specialist will also represent Save the Children in national Technical Working Groups and other similar forums. The Specialist will also be the primary focal point between the Country Office and Save the Children’s Health and Nutrition Global Theme. Dimensions: The job has five core functions: strategy, quality programming, resource mobilisation, monitoring and evaluation, and advocacy and representation. The job also requires actions to incorporate gender equality, child rights and child participation throughout all programming. Be fully aware of and actively participate in the development and review of country strategy and thematic programme plans. Specifically lead the development and implementation of the Health and Nutrition strategies in collaboration with other technical sectors. Build on technical knowledge, personal understanding of health and nutrition policy and services in Tanzania, and current/previous programming to develop projects for funding in close coordination with the programme quality team (including monitoring, evaluation, accountability and learning). Ensure all new programming supports the achievement of Save the Children strategic and thematic objectives in both development and humanitarian contexts. All programming must reflect the Government of Tanzania’s priorities (or influencing updates in policy) and be aligned to building their capacity to effectively provide health and nutrition services to all Tanzanians, particularly the most deprived children in the communities where Save the Children works. Maintain a gender sensitive lens and work towards gender equity in programmes. Ensure that programme strategy supports and demonstrates good practice in child safeguarding and gender mainstreaming. Using a child rights programming lens, ensure that our Health and Nutrition programming is built around the Theory of Change and aligns with Global Initiative strategic directions. Monitor and provide timely, relevant, accurate input on overall technical aspects of Save the Children Health and Nutrition programme work in Tanzania. The position will be required to travel 30-40% of the time to Save the Children field locations. Liaise with the Programme Operations team to ensure all Health and Nutrition and other programme staff receive the necessary and appropriate technical support. In consultation with staff and project managers agree on the range of advice, support, training and/or other assistance required from you to facilitate high quality programming and ensure it is delivered in a timely fashion. This will involve regular visits to Save the Children operational areas. Use Save the Children’s Common Approaches as a first point of reference in the design of Health and Nutrition programming, ensuring they are in line with relevant national policies, guidelines and toolkits. Where necessary provide technical training for project staff and partners as required (e.g. newborn child survival focus, community health workers, care and support, monitoring tools, programme quality tools, etc.). Where external consultants (local or international) are required to technically support or monitor and evaluate projects, lead the recruitment and subsequent management of contracted consultants as per the recruitment guidelines. Collaborate with and liaise with Health and Nutrition Technical Assistants in Save the Children members and Global Theme, coordinating inputs as appropriate for proposal development and projects. Provide input on partner selection, and provide technical coaching of partners in Health and Nutrition programming. Analyse and provide feedback on programme implementation to ensure gender equity and adequate child participation. Ensure the development of an M&E framework and key indicators for nutrition that helps each project improve quality of reporting, clearly articulate progress and impact of projects, identify issues for advocacy and new programmes/projects in the future. Participate in the design of baseline, mid-term and end of project evaluations for Health and Nutrition programmes, or Health and Nutrition components of multi-sectoral programmes. Monitor the evaluation process and provide input and clarification as needed. Review evaluation findings and ensure that lessons and recommendations are captured in the Lessons Learned database. Regularly review and monitor health and nutrition programmes for child safeguarding issues. Take corrective action in modifying programme activities and/or report incidents. Be fully aware of national policies, strategies and other initiatives and developments by the Government of Tanzania and other stakeholders relating to Health and Nutrition, and critical intersections with child protection, nutrition, education, WASH and child poverty. Regularly assess and communicate the implications for Save the Children’s programme and priorities of any changes in the operating environment relevant to this theme in close collaboration with the relevant Specialist(s). Help to clearly articulate the Health and Nutrition advocacy messages for the Tanzania Country Program. Develop an advocacy plan (with timeline and key outcomes) and ensure its implementation at national, county and community level, particularly aligned to the Country Strategic Plan 2019-21. Develop policy briefs and position papers as and when required related to the Health and Nutrition programme in coordination with the Child Protection, Nutrition, WASH and Senior Campaign and Advocacy Manager, when appropriate. This may require technical collaboration with other Technical Specialists within the country office or within the Save the Children Members. Participation in regular working groups and technical meetings. Advise field teams to ensure adequate field visibility through attendance at technical meetings at county and ward level. Participate in and contribute to Save the Children Global Theme activities for Health and Nutrition, as relevant. Work together with Awards, PDQ and implementation teams to design high quality, cost-effective, innovative and sustainable project proposals and concept notes. Proactively seek information on potential donor sources and share project opportunities in Health and Nutrition with PDQ, Awards and operations teams linking to Country Strategic Plan for 2019-21. Support in the development of budgets with Finance, Awards and operations teams to ensure technical resources are available (human and project activities) for proposed activities. Analyse donor priorities and positions on issues related to health and nutrition; identifying institutional funding opportunities and developing/maintaining contacts with potential donors, partners, and key technical agencies. Ensure that new partnerships in this technical area reflect the programme quality we expect of ourselves. Participate actively in PDQ programme meetings, planning and review activities, providing enhanced insight into Health and Nutrition programming. Actively participate in key relevant internal meetings such as Quarterly Programme Review Meetings, Routine Award Review meetings and Field office meetings as required. Participate in any Donor visit to project(s) within the country office portfolio, as required. Ensure the recruitment and training of health and nutrition programme staff in technical areas of expertise as appropriate and ensure availability of appropriate professional development opportunities. A Health or Nutrition programming professional with a Master’s Degree in public health, health professions, medicine, nutrition or equivalent, and relevant field. 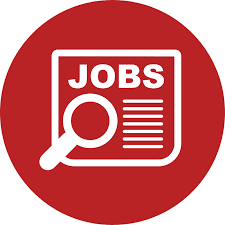 Significant professional experience, at least 5 years, of working at a senior advisory level in Health and Nutrition for international NGOs, government or the private sector in Tanzania. Excellent understanding of the Health and Nutrition sector within the Tanzanian context, particularly issues related to children, newborn child survival and nutrition. A clear understanding of the intersection of Health and Nutrition with other thematic areas, including nutrition, child protection, education, WASH and child poverty in Tanzania. Proven representation and advocacy skills. Strong commitment to capacity building of national staff and partners with the willingness to adopt participatory and consultative approaches. Experience with Health and Nutrition programming in humanitarian settings highly desirable. Experience writing donor funding proposals for large institutional grants in excess of US$1 million. Strong report writing skills and the ability to compile narrative sections for proposals and donor reports. Strong results orientation, with the ability to challenge existing mindsets. Experience solving complex issues through analysis, the definition of a clear way forward and ensuring buy-in. Ability to present complex information in a succinct and compelling manner. Fluency in English, both verbal and written, required. Swahili preferred. Commitment to Save the Children values, including the willingness to abide by and enforce the Child Safeguarding policy.